Tucked away in the beautiful Sandia Mountains is a small but mighty Re/Max office that is a great partner of the UNM Children’s Hospital. 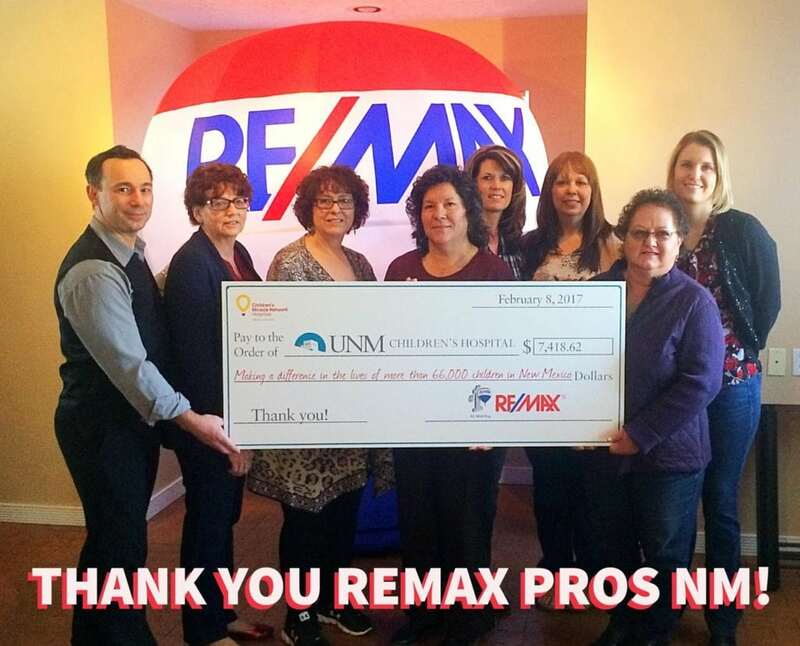 Re/Max Pros is a Miracle Office with several Miracle Agents who donate and fundraise to support our UNM Children’s Hospital. This year the Re/Max Pro’s office is hosting their annual East Mountain Craft Fair on November 11th from 10:00am-4:00am. The Craft Fair will be held at Mountainside United Methodist Church located at 4 Penny Lane, Ceder Crest, NM 87008. Although the event may seem far away, planning for their annual craft fair starts NOW! Yvonne Oselio, broker and owner of Re/Max Pros, beams when she speaks about the event and the children it helps serve at the UNM Children’s Hospital. The Re/Max Pro’s office toured the UNM Children’s Hospital this spring to see how the money that they raise from the Craft Fair impacts the children of New Mexico. Money goes towards medical equipment, supplies and special programs. One special program that benefits from the Craft Fair is Child Life. Child Life helps children and families cope with their healthcare experience by giving children a space and resources to play, as well as providing age-appropriate education, supportive and preparation activities. There are many ways for people to join the Re/Max Pros office in raising money for the UNM Children’s Hospital. Artists can sell items during the craft fair for a $25 space fee (which goes to the UNM Children’s hospital) or community members/businesses can donate items for drawings during the event. All proceeds from the event supports the UNM Children’s Hospital.